Whenever you are living with chronic pain or illness, it can feel like your body is a war zone, and your body has turned against you. For so long, I saw my body as the enemy, believing that there was something defective and bad about it. After years of chronic pain and illness, I hated my body. Thanks to my yoga practice, this finally began to shift. 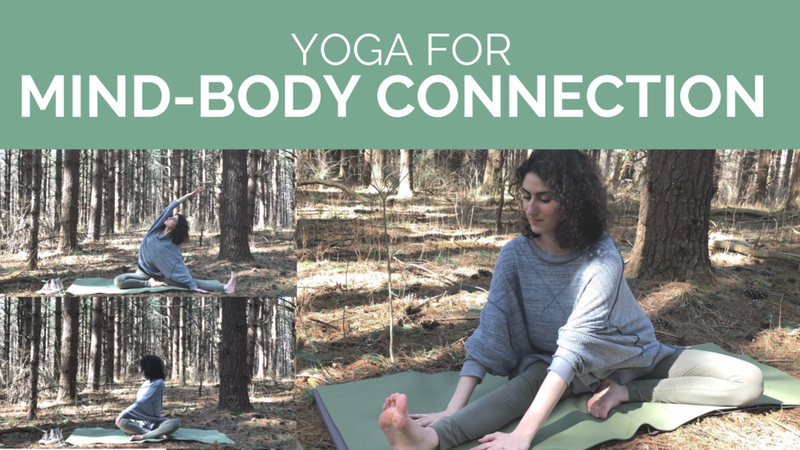 In this yoga class bundle, I share the practices that have helped me to heal the relationship I have with my body. This class bundle is included with your Spoonie Yoga Tribe membership. After you complete your purchase, you'll be sent a link to download the 30 page PDF guide. Inside the PDF, you will find all of the journaling exercises and links to download all of the yoga classes and guided meditations. The term "Body Betrayal" is a tidy way of describing the profound state of disconnection we experience between mind and body as chronic pain and chronic illness fighters. As someone who has lived with chronic pain and chronic illness for the better part of a decade, I know what it's like to feel like your body has turned against you. To feel like your body is an enemy you are constantly struggling against. But what if I told you that this isn't actually the case? The body never does anything that is not in our best interest. It is programmed for survival. Think about it. Whenever you get a cut, the body automatically begins stitching the skin back together. Whenever there is a change in the external environment, the body will adapt in order to maintain equilibrium. Whenever the body detects a foreign invader, the body fights to eradicate it. Problems arise when these natural functions are impeded through no fault of your own and through no fault of your body. Even when it seems like things have gone wrong, your body is constantly working to keep you alive. Your body wants to heal just as much as you do. Understanding this truth was the first step for me in my journey. This understanding builds the foundation of a healthy relationship with our bodies. From here, we can begin to dismantle the limiting beliefs that are keeping us from truly loving and accepting our bodies in the present moment. We accomplish this by utilizing the journaling exercises and meditation practices that I've laid out for you in this program. The yoga classes in this program are designed to create a synergy between you and your body. I offer many pose modifications so that you can build a unique practice that suits your needs. Our physical yoga practice is a tool for us to understand ourselves and to experience more freedom and ease in our bodies. The body shouldn't conform to fit the pose, but rather the pose should be structured to fit the body. In this 7 minute yoga class we are going to use gentle movements to bring our awareness back home to the body. This helps us to cultivate unconditional presence with ourselves so that we can begin to heal the state of disconnection within us. 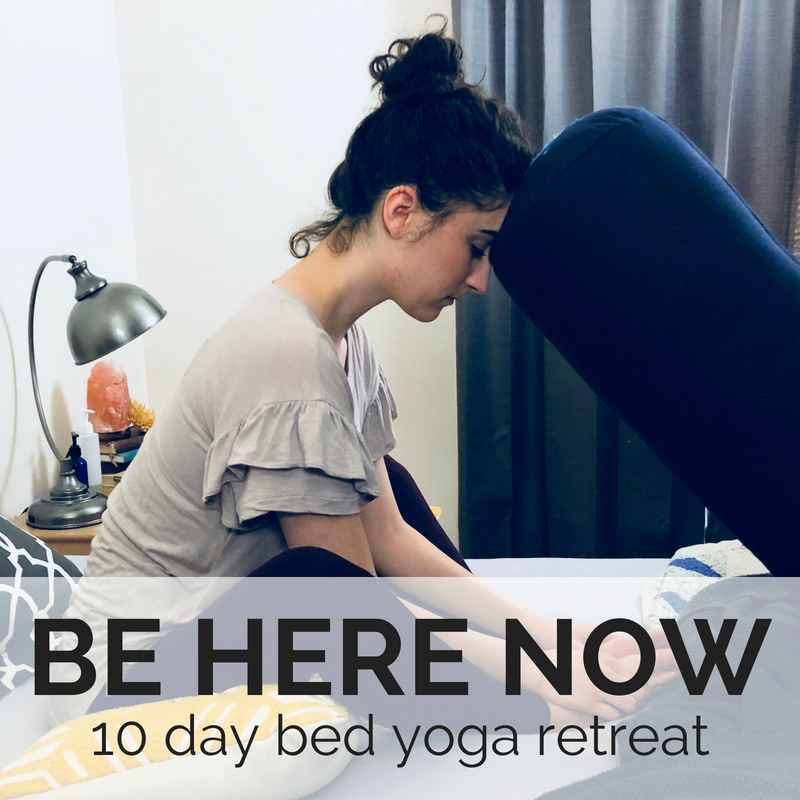 This entire practice is done seated, so you can do it on the floor or in bed. Whenever the body experiences pain or illness, it activates the fight or flight response. When these symptoms become chronic, we can get trapped in a constant state of fight or flight, which can fuel our sense of body betrayal. It may even make us feel afraid of our own bodies. To feel like we aren't safe within ourselves. This 40 minute restorative practice relaxes the body and deactivates the fight or flight response. Doing so allows the body to heal and reestablishes a sense of self-trust and safety. In this class, I’m going to show you lots of ways to modify each pose so that you can create an experience that feels good for your unique and beautiful body. These poses can be done on the floor or in a chair. This 60 minute practice is energizing, strengthening and grounding. The standing poses in this sequence can be challenging, even with the support of a chair, so be sure to go at your own pace and honor your body. These classes are very gentle and modifications are offered so that you can customize your practice to suit your needs. All experience levels are welcome. If you are recovering from surgery or injury, please consult with your physician before practicing yoga. If you're still not sure, feel free to send me a message by filling out the form below. ARE THESE CLASSES ON YOUTUBE? Nope! All of these classes are new and exclusive to this program, but they are taught in the same gentle style as my YouTube classes. If you've never done a class with me before, click here to check out my free yoga classes to make sure my style is a good fit for you. Because this content is digital, this purchase is non-refundable. If you're not sure if this classes are right for you, please fill out the form below. I'm happy to answer any questions. HOW MUCH WILL IT COST IN MY COUNTRY'S CURRENCY? This program is $25 USD. You can click here to convert to other currencies. WHAT IS SPOONIE YOGA TRIBE? Spoonie Yoga Tribe is my online yoga membership program. This program is included with your membership (after your one week free trial has ended). You can click here to learn more and to sign up with your credit card. You won't be charged until after your trial period has ended, and you can cancel at anytime. The information and practices on this website are not meant to diagnose, treat or cure any illness and and should not be used as a substitute for professional medical care. As with any exercise program, you take the risk of personal injury when you practice yoga. By participating in these practices, you acknowledge this risk and release Sleepy Santosha and Rachel Marie White from any liability. You are responsible for your own body's well being. Please consult with your physician prior to beginning exercise.